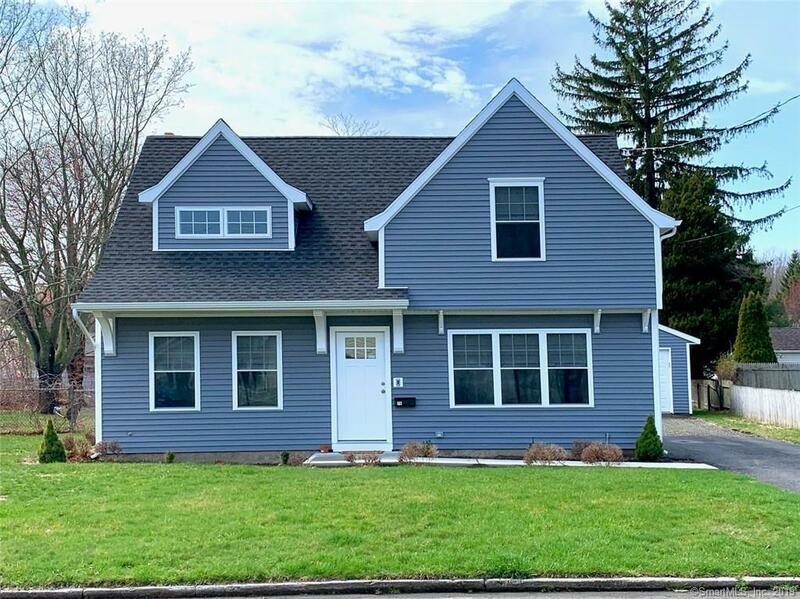 Gorgeous, recently remodeled, cape cod home. This beautiful, sun-soaked 3 bedrooms, 3 full-bath cape was taken down to the studs and totally re-built in 2017. It also features a brand new, spacious 2-car garage, which was built in 2018. Everything is brand new and in great condition. You'll find an open floor plan, higher grade kitchen cabinets and bath fixtures, granite, marble, stainless steel appliances and hardwood floors throughout. The kitchen features 2 pantries and the fireplace is surrounded by marble with a granite hearth. First floor living has also been made possible with a 1st floor bedroom. On the second level, you'll find 2 full baths attached to each bedroom and an upper level laundry area. The attic is insulated with top line R49. The house sits on a level lot, just 1 mile from beautiful Anchor Beach and just minutes from downtown Milford! Welcome to your forever! Directions: From New Haven Ave, This House Is Located Second On The Right-Hand Side.